The Americans have a genius for words that describe exactly what they mean, so that you can understand it even if you have never heard it before. Hardscrabble is just such a word and means that the land is so difficult to farm and so poor in nutrients that all you can do is to scratch a subsistence living. I first came across the expression at Linden Vineyards, where Jim Law had bought an abandoned “hardscrabble” farm and turned it into one of Virginia’s most exciting wineries. The place was so steep and stoney that Jim even named the vineyard and the wines produced from it “hardscrabble”. Rugged, unforgiving vineyards are very often the best place for wine grape growing though, as they force the vine to work hard at surviving and so produce a small crop of tiny grapes with concentrated flavours and depth. In fact land like that, steep, stoney, inhospitable, inaccessible and harsh is perfect for wine grapes, but almost useless for any other marketable crop, which is why so many of these places have become famous as vineyard regions. These hard landscapes tend to be a feature of European wine making more than anywhere else and seem to be most frequently found in the Mediterranean world. Roussillon, Cinque Terre, Santorini, Pantelleria, Rapsani and Priorat could all be regarded as “hardscrabble” wine regions. 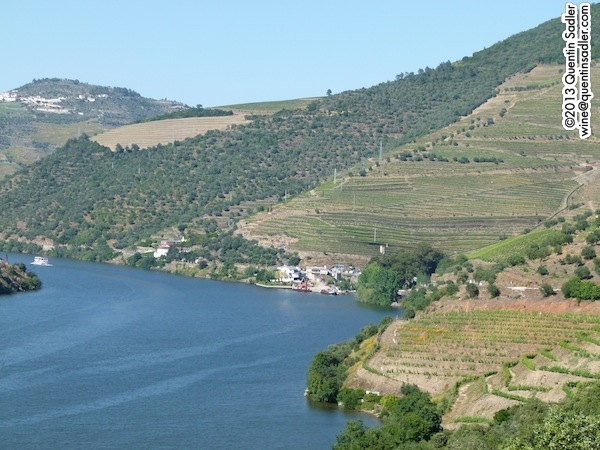 Portugal and Galicia do not actually have Mediterranean coasts, but surely they are culturally part of that world too, so I would add the astonishing Ribera Sacra to that list and perhaps the most wild and romantic wine landscape of them all – Portugal’s Douro Valley. The Douro – vineyards and cruise ship. Terraced vineyards in the beautiful Douro Valley. Untended vineyards are a common sight in the Douro. The terraces soften the landscape and look very appealing. 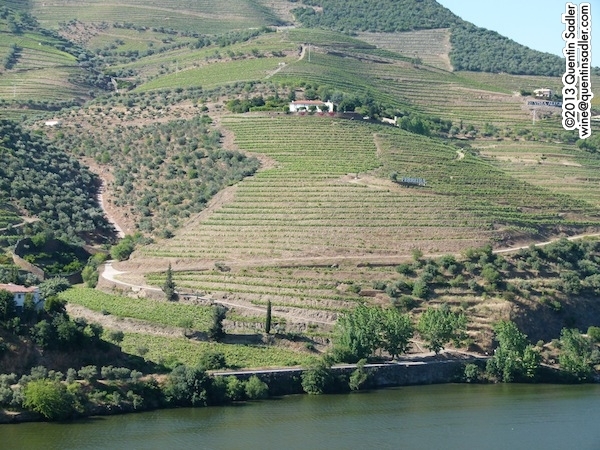 The Douro is the 3rd longest river in Iberia, after the Tagus and the Ebro. In Spain – where it is called the Duero – it flows through Castilla y León, home to Ribera del Duero and Toro. The countryside here is beautiful, but not rugged or particularly harsh, that comes later once we are within sight of Portugal. 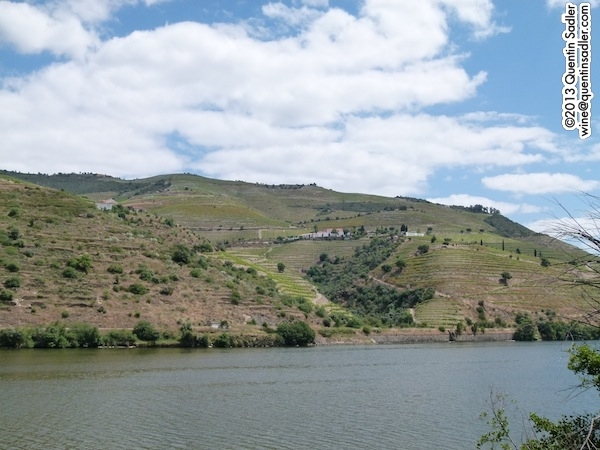 Arribes (del Duero) – where the river marks the frontier – is where the dramatic landscapes start, from here to Vila Nova de Gaia, near Porto, major centres of population are scarce and the wild, rugged, steep, hardscrabble hillsides dominate. In Portugal’s Douro Valley these slopes are home to the vineyards that create Port wines and the still / table wines of D.O.C. Douro. The Douro is one of the world’s great wine regions, but I had never managed to visit the place for myself until just the other week as a guest of the Discover the Origin campaign. What I saw fascinated me and educated me about the wines from this beautiful place. New terraces side by side with rubbed out vineyards. The region is renowned today for the rich, sweet, fortified Ports, but of course it wasn’t always like that. 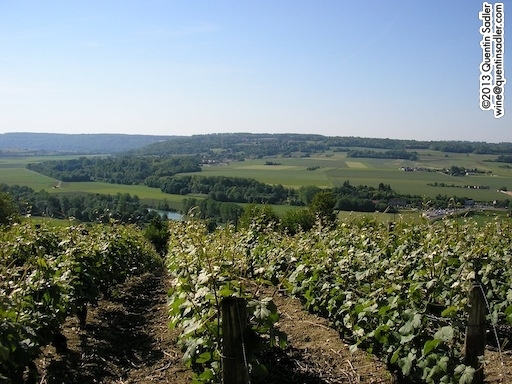 In the middle ages – and before – this valley made normal wine, probably quite ordinary stuff as far as we can make out from the sparse records. It is even possible that the first wines known as Ports to the outside world were more akin to red Vinho Verde – light-bodied, low in alcohol and very acidic. We certainly know that even though Cromwell favoured them these wines did not catch on with English consumers until the early eighteenth century. In those days the spirit was only added as the wine was being shipped, this was to protect it from turning bad on the voyage, so that ‘Port’ would most certainly have been dry – as long as the alcoholic fermentation was complete. It seems that until well into the 1820s there was no set time to add the spirit and no set amount of spirit either, so wines labelled Port could have varied enormously from dry red wines to something like the Port we know today. From what I have read it would appear that adding the spirit before the fermentation was complete – and creating a sweet wine – was not universal practice until the 1850s. 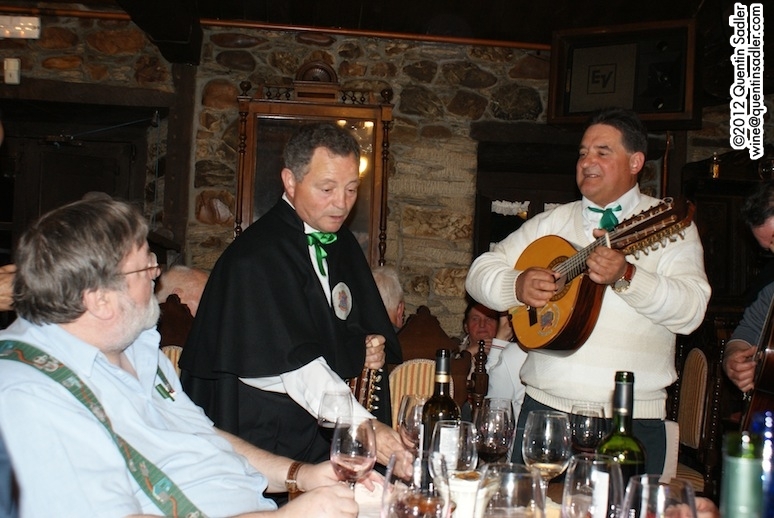 Even then not everyone approved, the influential Joseph James Forrester – created Baron Forrester in 1855 in recognition of his important work in mapping the Douro wine region – was campaigning against fortification and trying to persuade Port makers to return to making normal, but high quality, red wines. Looking at the vineyards it really struck me just how much Port some people must drink! I like Port, very much but just cannot drink very much of it and yet, looking at the vast expanse of vineyards, someone must drink it all. Looking at those intensively planted slopes it is astonishing that is took so long for table wine production to catch on here. It was not until 1952 that a serious attempt was made to produce a fine red table wine from the region, the legendary Barca Velha made by Ferreira. 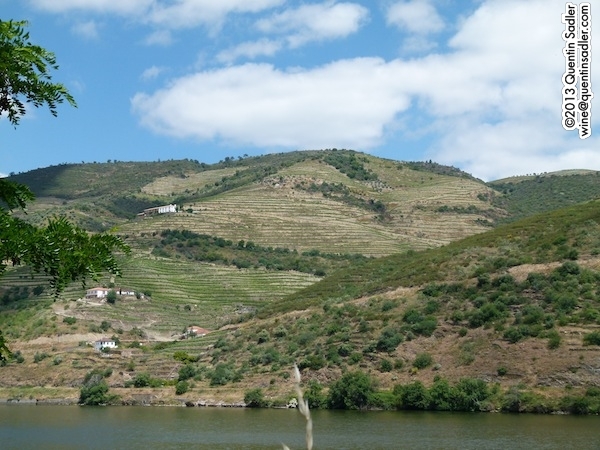 It was slow to catch on at first, but gained in reputation until eventually the tide turned and more and more growers started making table wines in the Douro region. Finally in 1979 the Douro Denominacão de Origem Controlada / D.O.C. 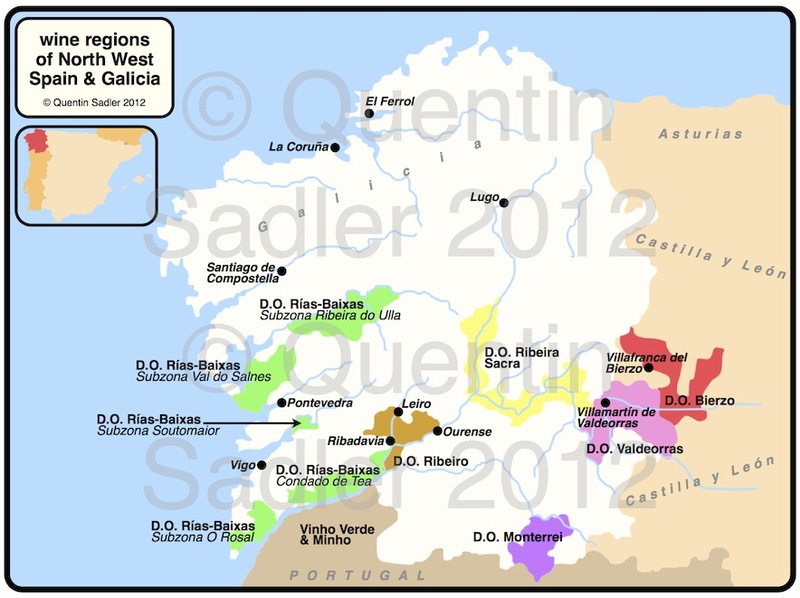 was created for the dry, still / table wines of the region – Port had already had its production zone defined by charter in 1756, making it probably the earliest such official wine region in the world. Even today though the wines of this valley remain less famous than Port, which is a shame because many of the wines that I tasted were really good, but then so were the Ports themselves. I have often wondered why the ‘Port’ region is so far away from the city whose name it takes. 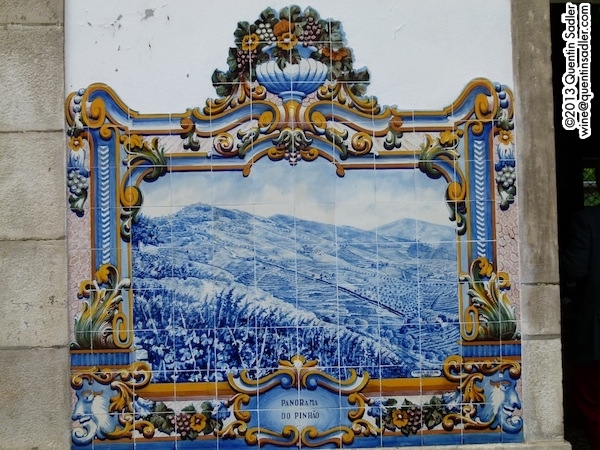 Well the reason is simple, near the coast the weather is wetter and more humid, so the grapes are grown further East and inland where they are sheltered from the Atlantic rains and winds by the Marão and Montemuro mountains. 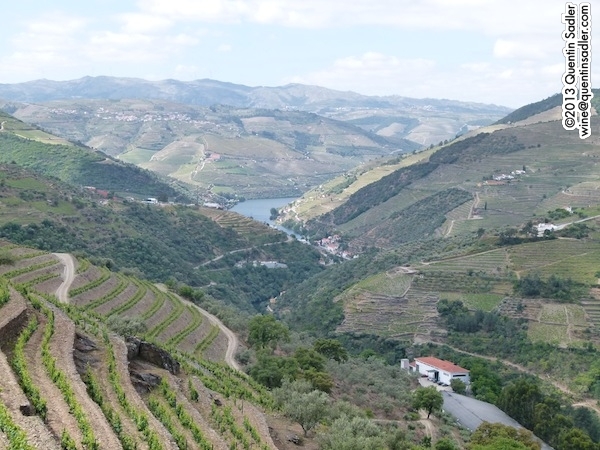 This gives the Douro a more continental climate with extremely hot summers and harsh winters – there are some pockets of a Mediterranean climate too the closer you get to the Spanish border. Baixo Corgo – the original area where it all began. 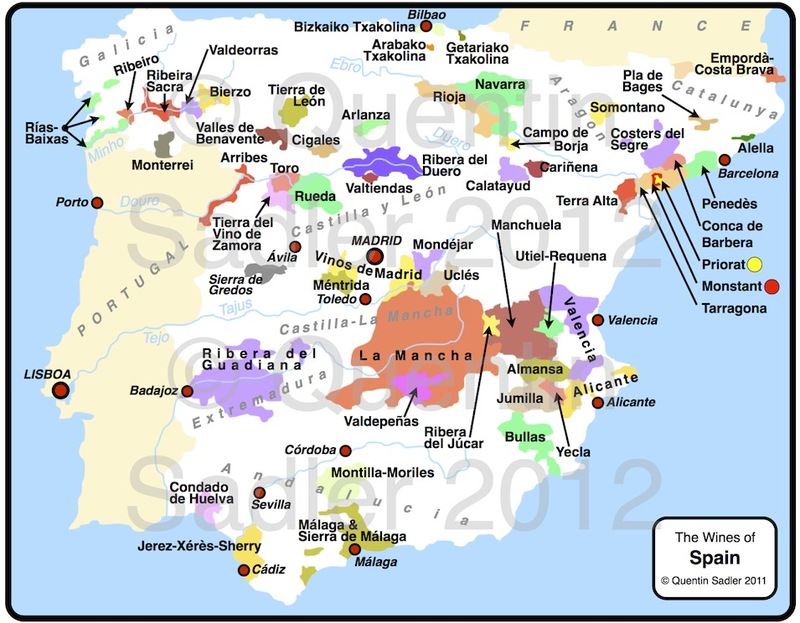 This westernmost subregion is wetter than the others and is widely regarded as most suitable for the production of the simpler Ruby and Tawny Ports. However, some of the wines that I tried from this area were superb. Cima Corgo – the heartland of Port production, this is where the majority of the famous Quintas, or grape farms, are located. 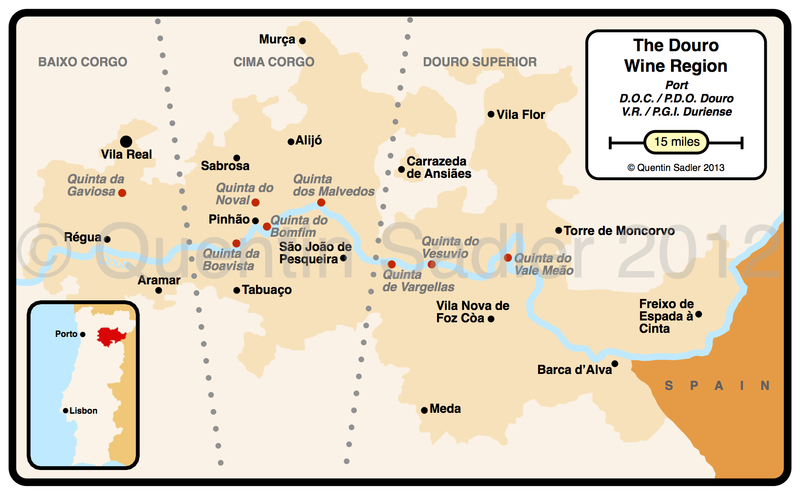 Douro Superior / Upper Douro – this is the hottest and driest zone and extends all the way to the Spanish border. Because it is so cut off it is the most recent zone to be cultivated and so is not intensively planted. Much of this zone is used for table wines rather than Ports. 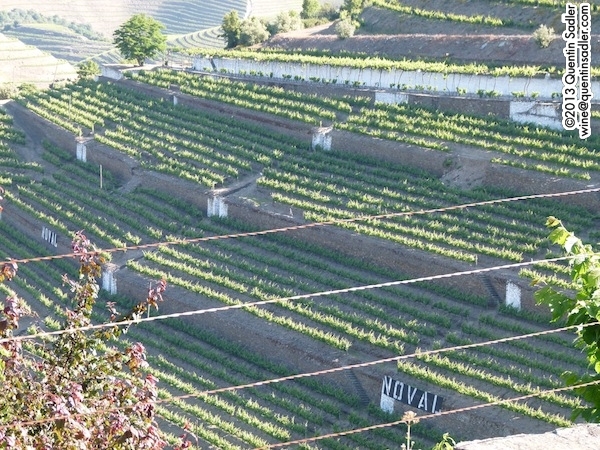 Large terraces at Quinta do Noval. 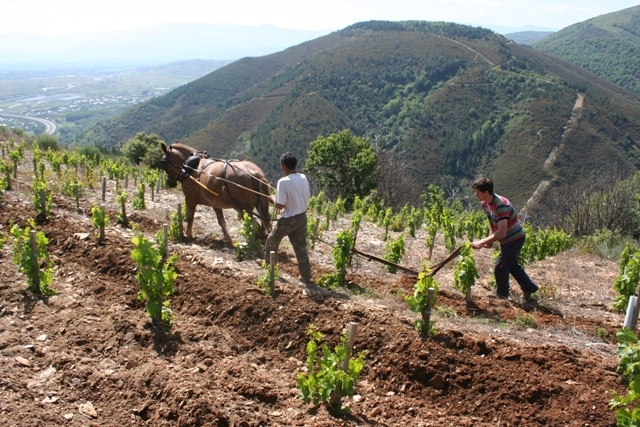 Classically the vineyards for Port production are on the well drained schist soils – decayed slate – and are terraced to make them easier to farm and to counter soil erosion. The traditional terraces look lovely, either the socalcos – the original type that look like dry stone wall steps, or the bigger nineteenth century type terrace that is a gentle slope contained by a dry stone wall that allows use of horses and mules. Patamares at front right, terraces behind. The more modern patamares, with their big earth banks and very low density planting are not nearly so attractive or in keeping with the landscape and I understand they are now out of favour again. Everywhere you look in the Douro there is a feast for your eyes, it truly is beautiful and you can clearly see why the wines are like they are. It is a place that draws in the heat and almost abuses the vines that grow here by denying them water and nutrients – all so they can produce tiny amounts of deeply flavoured juice that always has a deep mineral character to it. 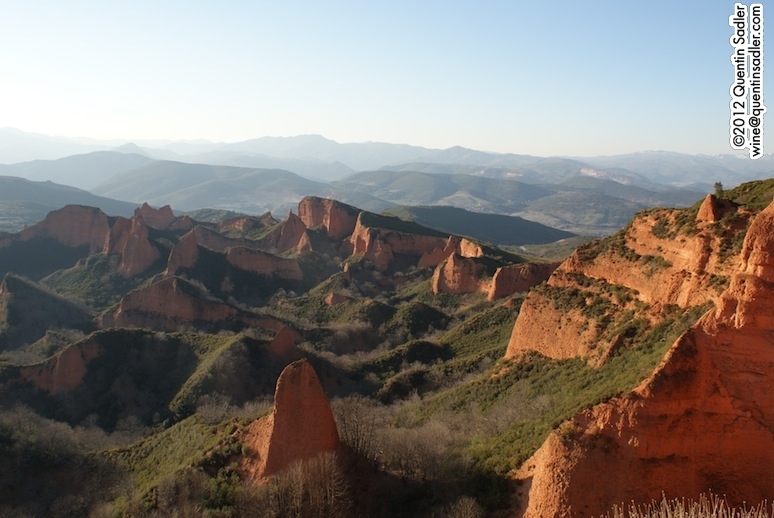 When drinking the wines you can almost imagine that you are tasting these hillsides. It has long been a dream of mine to travel on the Douro railway, the wonderful meandering train track that opened up this inaccessible valley in the mid to late nineteenth century. Sadly this was a short visit, so that ambition is still to be fulfilled. 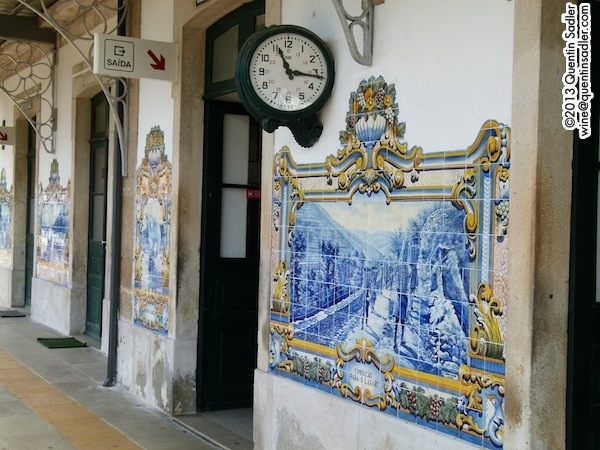 However, I was able to se the famous railway station in the delightful town of Pinhão. It’s a famous tourist attraction in its own right because of the beautiful tile decorations, which really are worth seeing. The first stop on my visit was at Alves de Sousa, this turned into a real highlight because they made us feel so at home – oh and the wines were really very good indeed. 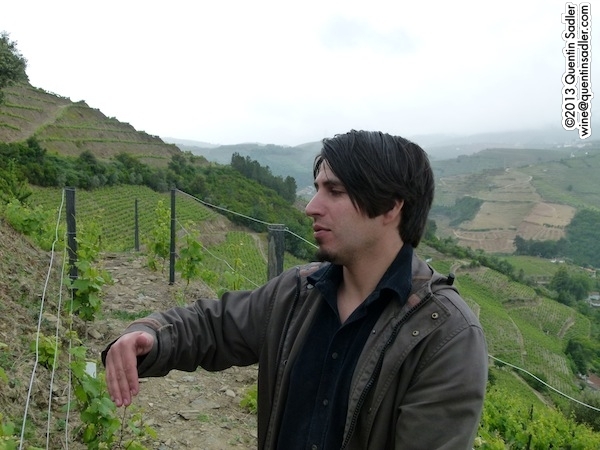 Tiago Alves de Sousa telling us about his 80 year old Abandonado vineyard. This is a true family concern run by Domingos Alves de Sousa and his son Tiago. The impression I got was of a really good balance between Domingos, who seemed traditional and old fashioned in all the good ways and Tiago, who clearly loves his land, but would have been equally at home in a New York bar or an architects practice. The family have long owned some superb vineyards, but have only been producing and bottling their own Ports and table wines since 1987. They own several Quintas, but we were at the beautiful Quinta da Gaviosa near Régua in the Baixo Corgo, which is the hub of their operation and the family home. 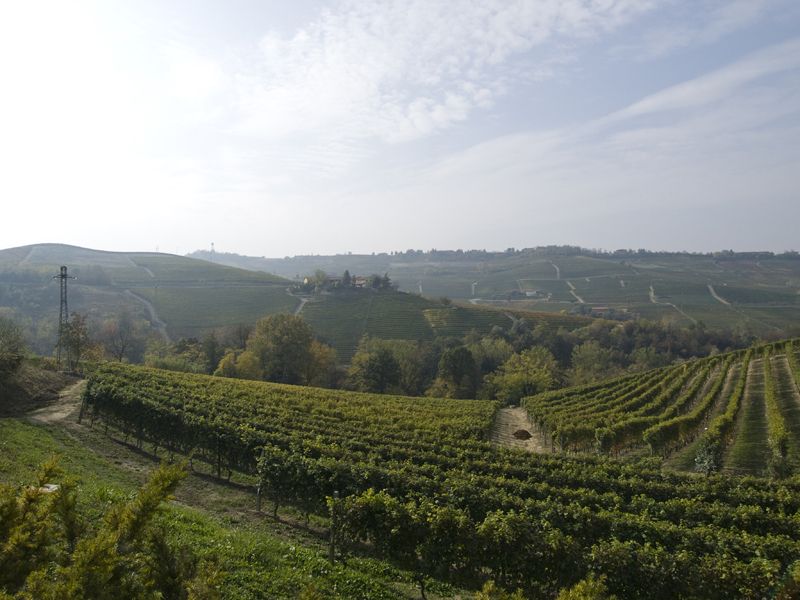 The slopes are steep and the deep schist soils clearly visible through the thin ground cover. The 80-100 year old vines in their Abandonado vineyard. It was abandoned and has been nurtured back to productive life. The Alves de Sousa were among the pioneers of table wine production in the Douro and I thought all their wines were fascinating. Good though their reds and Ports are – and they are very good – it was a couple of whites that really fired my imagination here. 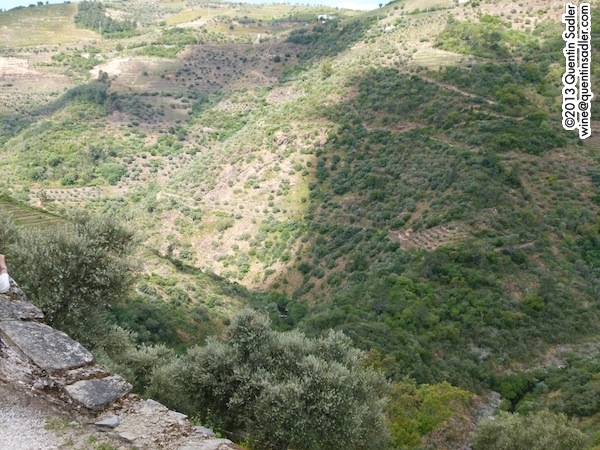 For their white wines they use traditional white Douro grapes – a mixture of Malvasia Fina, Gouveio, Viosinho and Arinto – from a mixture of very old vines – 60 years old or so – and newer carefully planted vineyards very high up on north facing slopes where the air is cooler and so the grape’s acids are better preserved. The 2009 Alves de Sousa Branco de Gaivosa Reserva is a beautifully complex, textured, richly fruity, herbal and flavoursome wine, full of flavour and all balanced by a wonderfully crisp acidity – 88/100 points. The 2007 Alves de Sousa Reserva Pessoal Branco is an altogether more individualistic sort of wine, full of character and depth. For this dry white they decided to make a wine with some of the personality and intensity of a white Port. To achieve this it was fermented (on the skins for the first 48 hours) in new French oak with hyper-oxidation and hard pumping over and a further 6 months in new French oak. The result is extraordinary, full flavoured, concentrated and quirky with barley sugar, caramelised orange, rich apricot, spices and honey, in fact it sort of tastes like a very rich Sauternes, but is bone dry. It put me in mind of those new wave amphora aged wines and orange wines, but unlike most of those it is utterly delicious – 93/100 points. 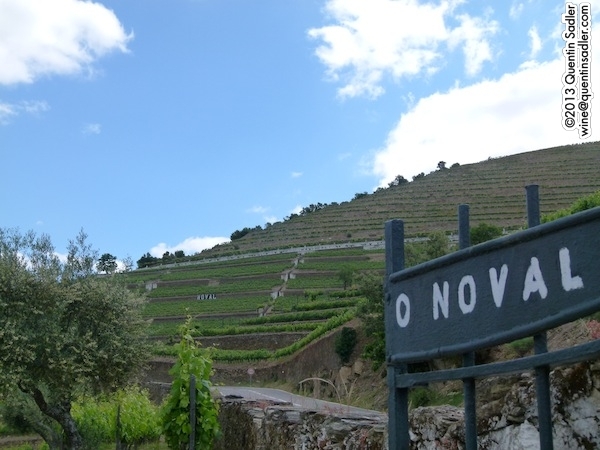 The entrance to Quinta do Noval. 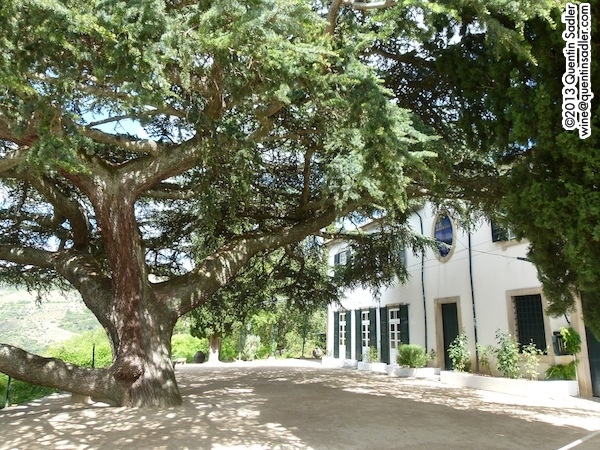 A wonderful highlight was staying at the beautiful Quinta do Noval, whose Ports and table wines are justifiably famous. It was tremendously exciting to spend a night at this wonderful place surrounded by the neatly ordered terraced vineyards. A comprehensive tasting of their range followed by a stroll around these terraces gave spectacular views – mind you the one from my bedroom took a lot of beating too – and helped get an overview of this amazing place. The view from my bedroom, the building bottom right is Noval’s winery. The beautiful terrace at Quinta do Noval. This had a deep and beautiful colour, while the nose was scented, aromatic and herbal with heather, oregano and rosemary, spices and an earthy, rocky, granite minerality. The palate was savoury and rich with deep sugar plum fruit, earthy and granitic savoury characters, round tannins with just a touch of bite and great length – 89/100 points. If anything this blend of 80% Touriga Nacional; 20% Touriga Franca was even more exciting, more intense and vibrant. As I say it was only a short trip of a few days, but I was able to visit some wonderful places and try some superb Ports and wines that really made me aware of the great quality and wonderful things that are produced in this astonishingly beautiful valley. It may be a hard place to grow grapes, but the results do seem to make all the hard work worthwhile. 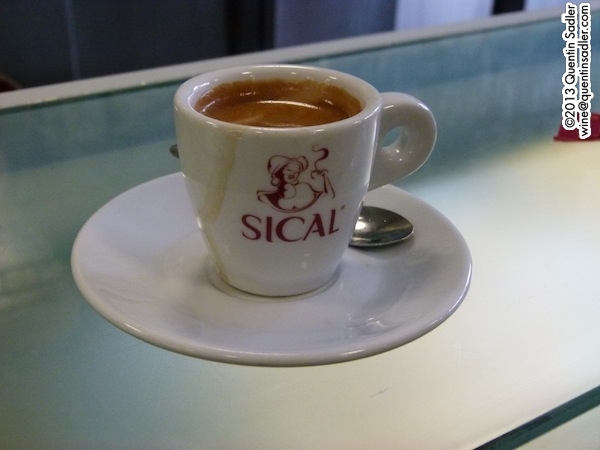 I will tell you about some of my other experiences another time, but I will leave you this time with one of the great simple pleasures of Portugal – the coffee. 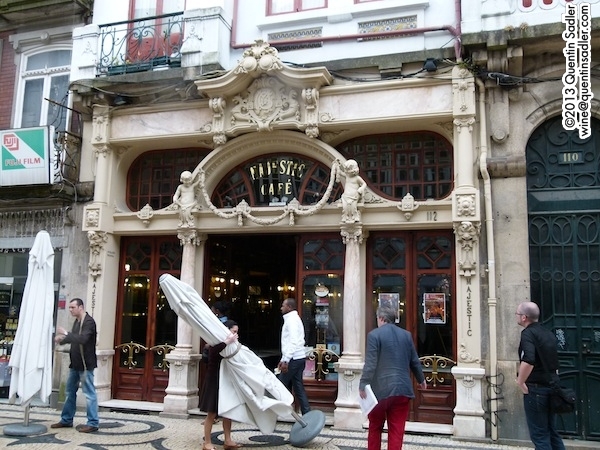 Coffee is everywhere in Portugal and the bars all announce who their coffee supplier is on their signs, much as pubs here used to indicate their brewery. The coffee in Portugal always seems very high quality to me and much hotter than the strangely cold coffee they serve in Italy. My favoured style is the Café Pingo or sometimes Pingado, the local term for a cortado, noisette or macchiato. I have been told that the same coffee in Lisbon and southern Portugal is a Café Garoto, but some people describe that as a weaker version as well, so order with care. As well as coffee the Portuguese like their cakes too, and what cakes they have too. 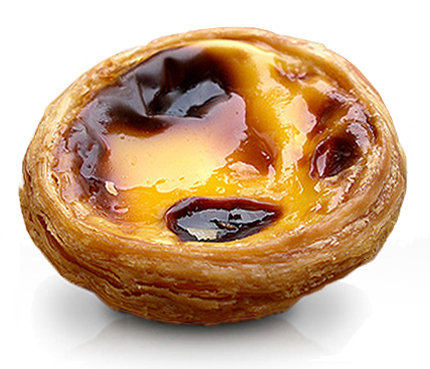 My favourite and the signature cake of Portugal is the scrummy pastel de nata – or if you are greedy (yes, yes, like me) the plural is pastéis de nata. Some people translate these as custard tarts, but that is to do them an injustice. Made properly the pastry has a crisp and flaky texture that makes these tarts irresistible when partnered with the rich creamy, eggy custard-like filling. The lovely city of Porto / Oporto – I can never work out whether it starts with an O or a P! – has a vibrant café culture and boasts a handful of wonderful cafés from the late nineteenth and early twentieth century, all are worth a visit. So far my favourite is the beautiful fin de siècle Café Majestic. So, you see the Douro is an amazing place, beautiful, a joy to visit and full of delights. I will tell you a bit more about my trip there and to Porto very soon. 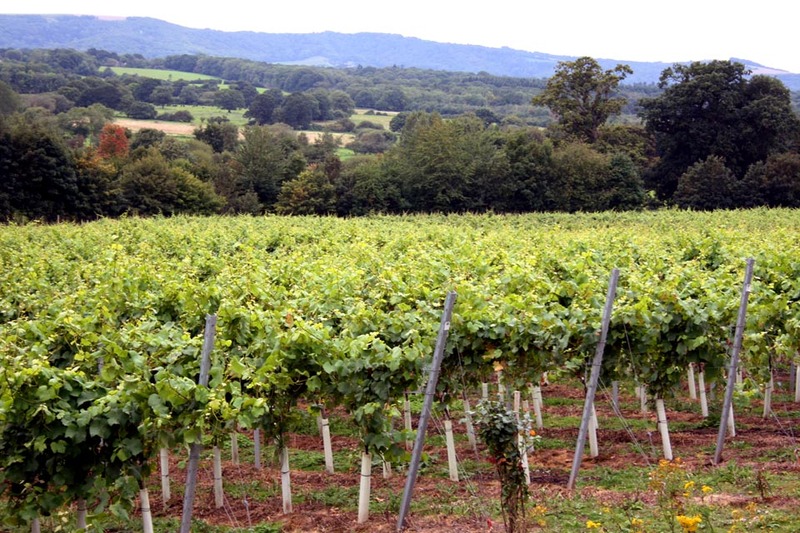 Recently I have been getting keen on English wine and wrote about a couple of super examples here. The sheer quality got me thinking and led to me being lucky enough to try some more. I was thrilled to discover Stopham Estate who are based in Pulborough in Sussex. It is a new operation created by Simon Woodhead between Pulborough and Petworth in West Sussex – a part of the country I thought I knew well. It seems that the estate enjoys a sheltered and warm micrioclimate and this allows Simon to do something pretty unusual in England – he grows classic grape varities rather than the normal hardy crosses like Ortega and Huxelrebe, although he does have a little Bacchus. Now those can produce lovely wines in the right hands, but they hardly trip off the tongue and have very little commercial following, so specialising in Pinot Gris and Pinot Blanc might well be a stroke of genius. It is early days, they only have 21,000 vines and the 8,400 Pinot Gris vines represents the bulk of their production, but only produced 4,000 bottles in 2010. A very pale, almost silvery looking colour with a fresh, lively nose offering touches of pear with floral notes, Asian pear and apricot – leaning towards delicate peach notes at the lighter less creamy end of the Pinot Blanc spectrum. It is lively and fresh on the palate with a little zing of acidity. Softer fruit on the mid palate – apricot and peach – then some green fruit characters on the back palate too. A light bodied and dry wine with lots of flavour and a decent length finish. Lime and apricot acidity really refresh and balance the finish. This is a terrific, dry – it has 4.4 g/Litre of residual sugar which balances the high natural acidity very well, and vice versa – light and delicate wine that should win many friends for the stylish pleasure it delivers. At 10.5% vol it is perfect with a light salad or DIY tapas lunch – 89/100 points. The merest hint of coppery peach skin gives a depth to the colour. The nose is fresh and hints towards the exotic with peach and pear and a touch of sweet spice, all balanced by a citric freshness. The aroma is less heady and more delicate than examples from Alsace, but this is no bland Pinot Grigio. The palate is slightly off dry – it has 8.8 g/Litre of residual sugar – which gives a succulence and mouth-feel, but there is a lovely cut of balancing mandarin acidity keeping it fresh, clean and lively. Apricot and spiced pear fruit dominate the flavours on the mid palate and finish. It is very rare for me to rave about a Pinot Gris, but this is a very exciting wine with lovely aromas, balanced weight and acidity and is delicious to drink, it is 11% vol and the extra alcohol shows in the weight. I liked it very much precisely because it is a delicate take on Pinot Gris without being bland in any way. It goes splendidly with a wide range of food including spicy Asian dishes – 90/100 points. I have marked it high because it is so exciting and delivers a great deal of pleasure. If you enjoy light, fresh and thrillingly lively white wines with good fruit, then these really can hold their own against all comers and rather wonderfully at around £10 a bottle are no more expensive than their New Zealand, Spanish or Portuguese competitors. I only have one quibble with the good people at Stopham Estate, their labels state that the wines are ‘made with precision and passion in Sussex’. Tasting them I would swear that precision and passion should be the other way round. 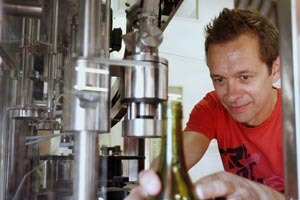 In fact everything smacks of passion and precision, not just the taste of the wines, but the look of them too. The labels have no hint of the hobbyist Olde English about them and even more excitingly they have sealed the bottles with the top end Stelvin LUX+ screwcap which looks great and seals in all that delicate freshness. On this showing I am getting very excited about the future of English wine – let’s all drink a lot more of it!